Who would know that we WOULD be snowed in this weekend! We made this layout at our Scrapbooking club night. Inspired by LeeAnn Greff. We white embossed snowflakes on the background. 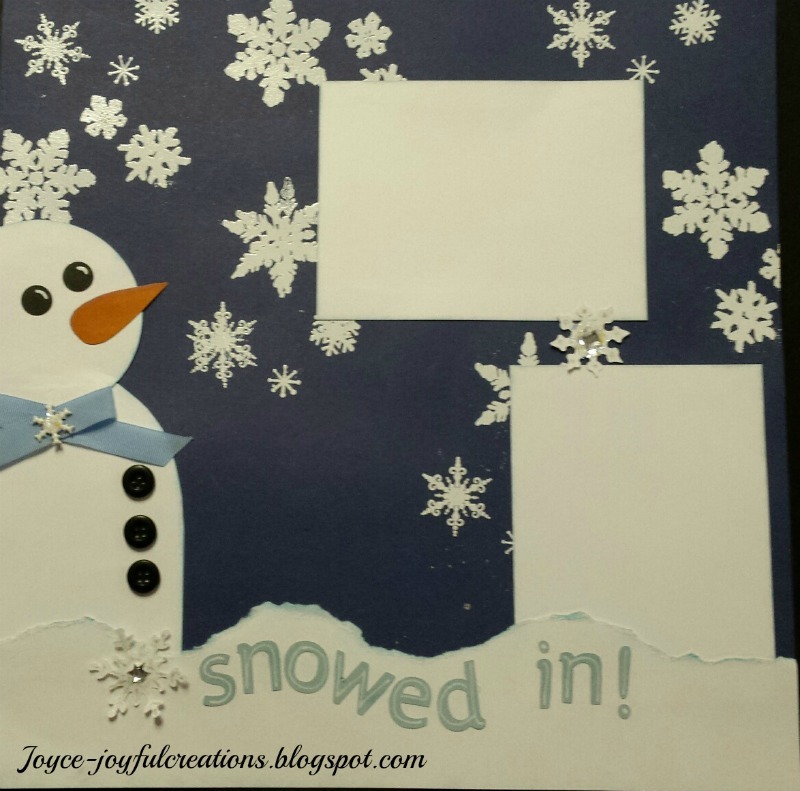 Made the snowman using a 3" circle for the head and a 4" rectangle the we rounded off at the neck. The eyes were 1/2" black with a touch of wht pen for highlights. Three buttons, a nose and a scarf. Some 3-D snowflakes were cut from Cricut. The bottom border was a 4x12 piece of White daisy ripped down the middle to make snow banks. All the photo wells were edged in light blue.